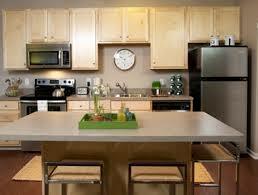 Kitchen appliances play vital role in daily chores. Discovering that one of them is on its last leg can be really frustrating. But the good news is that you can rely on our kitchen appliances repair Santa Clarita technicians to bring your appliances back to normal in no time. We are certified to work on nearly all brands of major household appliances and know them from top to the bottom. From fridge repair to range installation, our skilled appliance technicians have got your needs covered. After your call and we will arrive at your place within a few hours or you can set an appointment at day and time that is convenient for you. Our team is a reliable partner for home appliance repairs in Santa Clarita, California and the surrounding areas. At Payless Appliance Repair Santa Clarita, we can service any appliance that is giving you troubles. Be it freezer,dishwashing machine or stove, our well-trained appliance service technicians will get the job done in a timely fashion. As we are familiar with both gas and electric kitchen appliances, you can rest easy knowing your range or microwave will be fixed in the most professional way. Aside from appliance repair, we also provide such services as regular maintenance, outdated unit replacement and brand new unit installation. We always strive to keep our quotes competitive and affordable, yet never compromise the quality of our services. We will complete any job to your full satisfaction regardless of the scope of work.From refrigerator installation to ice maker repair, we pay the same thorough attention to details. When hiring our company, you can expect flawless operation of your unit within the shortest possible time. Contact us right away for kitchen appliances repair in Santa Clarita and you will find out why our customer call us their number one company!